Pumpkins deserve more attention than the pies. This year, we’re making a pumpkin mash, inspired by Marcus Samuelsson’s recipe. Locally grown pumpkins, roasted sweet potatoes, garlic and shallots, a hint of sweetness. What could be wrong? We had this idea, inspired by a question on Twitter. What about a savory pumpkin custard? Sounds good to me. I might try making the pumpkin custard recipe on the back of the Libby’s can. (Yep, we’re still using this.) Instead of evaporated milk, I might try some evaporated goat’s milk. Substitute all the sweet spices with garlic and sage, a bay leaf, some Parmesan cheese. It could be great. Enjoy it all, whatever you eat. Preparing to mash. In a deep pot on medium heat, melt the butter. Add the shallots, garlic, ginger, cinnamon sticks, brown sugar, thyme leaves, and cook, stirring, until the sugar melts, about 3 minutes. Throw in the sweet potatoes, pumpkin cubes, chicken stock, and milk of your choice. Bring them all to a simmer. Reduce the heat and cook until the potatoes and pumpkin yield to your fork, about 30 minutes. Making the mash. Drain the pumpkin and sweet potatoes, saving 1 cup of the liquid. Throw away the ginger and cinnamon sticks. In a large bowl, mash the sweet potatoes and pumpkin. Pinch in the nutmeg and salt. Taste. Season more, if necessary. Splash in a bit of the cooking liquid and stir, for an even texture. Before serving, sprinkle with the chives. Did you see who the State Dinner guest chef was!? Faced with lots of butternut squash and not many ideas, I was pretty excited to see this recipe, and now my kitchen smells very happy indeed. The squash and sweet potatoes worked beautifully together. I have a few sugar pumpkins that will no doubt make this even better, but I kept those for myself. This sounds delicious! My Thanksgiving was last month, but this might be on the list for Christmas =D. I'm found you from David Leibovitz' blog… and thought I'd tell you I made a great savory pumpkin-crab custard (that went in the center of a lentil/cream soup for my wine group)… It's also lovely on its own as a first course. I used Herbes de Provence instead of typical pumpkin spices and added parmesan. Would be glad to share recipe if you leave your email add on my blog. I'm new at this and have to say I really admire you photos:) A.
I made these for Thanksgiving. They were delicious even though, I really messed up the recipe. I ended up food processing the whole thing. It still tasted great! I like the spicy contrast to the regular sugared sweet potatoes. Cheers and happy holiday! 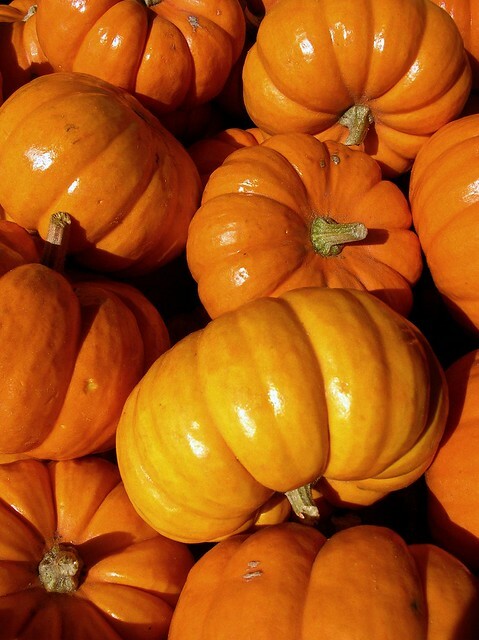 what is the nutritional value of your pumpkin/ sweet potato mash? do you mind getting back at me as soon as posible. thank you so much. Frollan, I don’t know. We don’t do that. I’m sure there are sources who do!